Rose, which the ancients called the Queen of flowers, is not just a beautiful ornamental plant. Its fragrant blossoms, rich in essential oils, vitamins and biologically active substances has long been used in medicine, cooking and cosmetology. Fresh petals get rose water and rose oil, brewed syrups, drinks and jams. 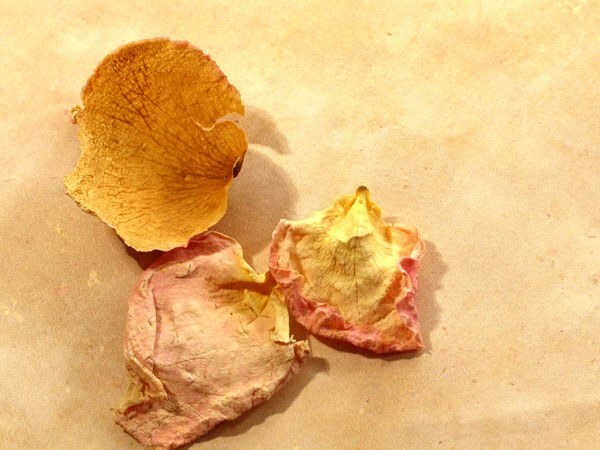 Dry rose petals are used to brew teas and infusions, scenting rooms and bath, cooking, cosmetic lotions and masks. Roses, clean sheet of paper, drying Breeze. Cut roses during their best flowering. Doing this is recommended in the morning (before noon) in dry weather, to save as many essential oils. Carefully separate the florets and run through the resulting material. Remove the rose petals, disease or insects. Decompose the raw material in a thin layer on paper in a dark ventilated room or outdoors under the canopy in the shade. From time to time slightly try for more uniform drying. Drying rose petals have from one to three weeks, depending on the size and moisture content. Use an electric dryer for vegetables, fruits, mushrooms and medicinal herbs "Breeze". Evenly spread the petals on the pallet (about 150 g on a pallet). Dry 3 to 7 hours at temperature 30 – 40oC. During the drying the weight of the raw material should be reduced to 7 – 8 times: from 1 kg of fresh petals turns 120 – 130 g dry. Prepare a clean dry banks. Fold them into the dried rose petals and tightly close the caps. Store in a dry, dark place. The greatest number of essential oils and the active substances contained in the petals of bright pink and red varieties of roses. Use only those roses, the origin of which you know. Store are grown using various chemicals, so use their petals in food, to prepare medicines and cosmetic products unsafe. Do not dry or store the rose petals in the light: they will quickly fade and lose a significant part of the aromatic substances. Do not dry the rose petals on newspaper pages, as the ink may contain lead, toxic substances and heavy metals.